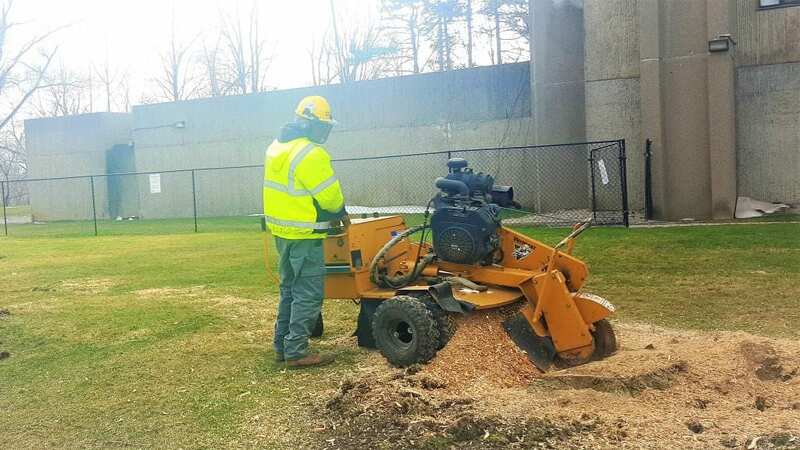 Tree stump grinding and removal is important for the safety and the aesthetic appearance of a property. Trees are a great investment. With little expense and easy maintenance, we give you beautiful trees on your property. Trees have to be cut down because of their age, infestation, if they are structurally unsound or due to construction work. We specialize in tree pruning service & tree trimming service, keep trees healthy & in shape. We also trim fruit trees and beautify campuses. We Provide Expert Tree Care Service to Our Commercial & Residential Clients. 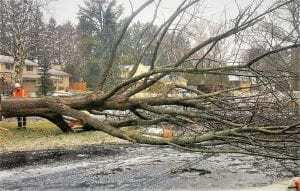 We Provide 24 Hours Storm Emergency Damage Tree Removal. We are certified & fully insured arborists, with $5 million liability insurance. We are the complete tree care service expert company. We provide Tree Removal, Tree Planting, View clearing, Lot & Land Clearing, Pre-construction Site Clearing, Tree Pruning Service & Hedge Pruning, Hazardous Removals, Deep Root Feeding, Tree Trimming / Cutbacks, Stump Removal, Tree Cabling, 24 Hour Response Storm Damage and any tree service you could need. There are quite a few reasons to contact The Real Tree Masters Inc. Are you interested in just tree removal or clearing acres of land for a construction project. Are your favorite fruit trees in need of trimming or pruning? Are there branches that are disrupting your home? Do you have tree stumps that are making your lawn an obstacle course? Our tree specialists serve the Entire GTA from Toronto, Mississauga, Oakville, Brampton, Markham, Richmond Hill, Vaughan, Caledon, Halton Hills, Orangeville, Woodbridge to Milton. So you’re looking around your property and visualize a nice open yard, the only problem is that you have trees scattered around the yard, a quick call to our experts is all you need! Does your property have stumps creating an obstacle course? Have you thought about planting new trees but you have too many old large stumps obstructing your land and fertile soil area? Our certified tree service arborists team at The Real Tree Masters Inc. tree experts can help you enjoy your land by Grinding and Removing Stumps! When a storm sweeps through, breaking old and unstable trees, our certified arborists team can help you remove trees, fallen branches & limbs, and help you manage the damage to your property. Usually, The Real Tree Masters’ certified tree service arborists prune in the fall before the trees go into hibernation. Pruning helps the trees grow, so in the spring they will be much healthier looking. Tree trimming & cutting back is also a perfect way to protect the tree from the bitter elements and from hazardous storms. We can also cutback the branches that could potentially do damage to your property if a storm hits. Once trees have been cut down on your property, we can remove the stumps with efficiency. Our arborists are here to help you in case of heavy storms or weather disturbance. Safety is Paramount. When our arborists work on your property, safety is always paramount to our men. We help preserve the life of your trees by tree trimming and tree pruning with care and safety. Our 24 hour storm response ensures tree service emergencies are covered well in time. 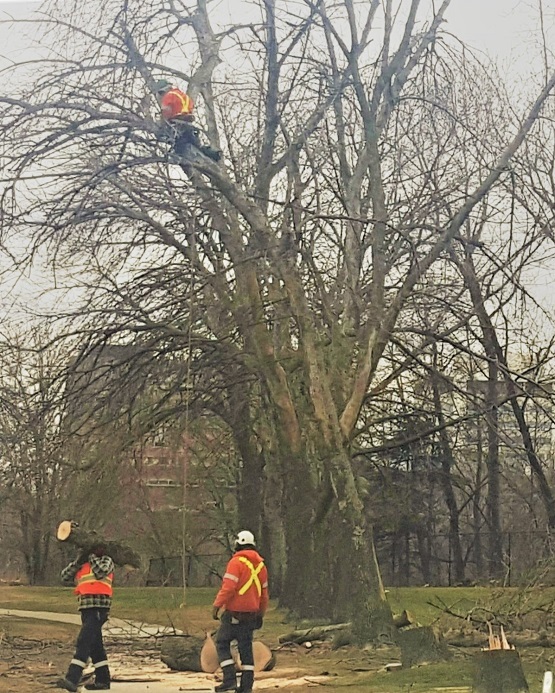 Our Tree Care Specialists Service Our Commercial & Residential Clients All Over The Greater Toronto Area.